Breast cancer researcher, Dr Luca Magnani, looks beyond the pink ribbon campaign to find the true symbol of breast cancer awareness. It’s that time of year once again: Instagram and Twitter will adopt a light shade of pink, companies will adorn their products with the ubiquitous pink ribbon, all to remind us of Breast Cancer Awareness Month. To a breast cancer scientist such as myself, October always brings out ambiguous emotions. On one side, it serves as a reminder of all the great research and results that we have achieved. Statistics show that things are getting better for many women, as mortality rates have halved in the last 20 years. October also prompts many of us to remember that there is nothing better than prevention when talking about breast cancer. Early screening measures have revolutionised outcomes for women; it’s very likely that almost 50% of the lives that were saved depended on catching the cancer earlier. The other major breakthrough was the development of targeted therapies for the most common molecular subtype of breast cancer (luminal subtypes) accounting for 70% of all new breast cancers. Years of rigorous clinical trials with these drugs have helped reduce the number of women that develop secondary disease (metastatic) – the consequence of the primary breast cancer cells spreading to other organs. This is where my ambivalence stems from; far too many women still have their breast cancer relapse. Outside of the beautiful pink narrative which Samantha King – author of Pink Ribbons, Inc: Breast Cancer and the Politics of Philanthropy – called “the tyranny of cheerfulness”, breast cancer remains the second largest cause of cancer-related deaths in women. There is a lot to be said for being optimistic and I agree with the scientific community that we need to invest all our enthusiasm into better research, but sometimes it feels a bit overwhelming. It feels as if the pink ribbon has been now overused and abused by marketing campaigners to make consumers feel good about their shopping. 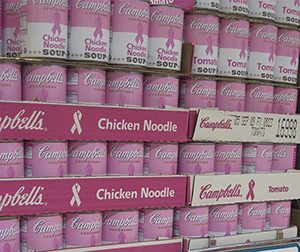 It is interesting to know that Charlotte Hayley, the original breast cancer survivor that developed the concept of a breast cancer awareness ribbon, conceived it as peach–coloured. Her refusal to cooperate with L’Oréal and other commercial entities due to the fear that her original message would be diluted, led to peach becoming pink – a copyright ploy – and everything snowballed from there. My laboratory works primarily on metastatic breast cancer. I often interact with metastatic patients and they are the first to reject the idea of a disease symbolised by a cheerful, pink ribbon. These women know that, eventually, the disease will take over; as of 2017 there is no cure for metastatic breast cancer. Currently, we do not have a precise estimate on the number of women living with metastatic breast cancer, although we have a very precise census on new cases. 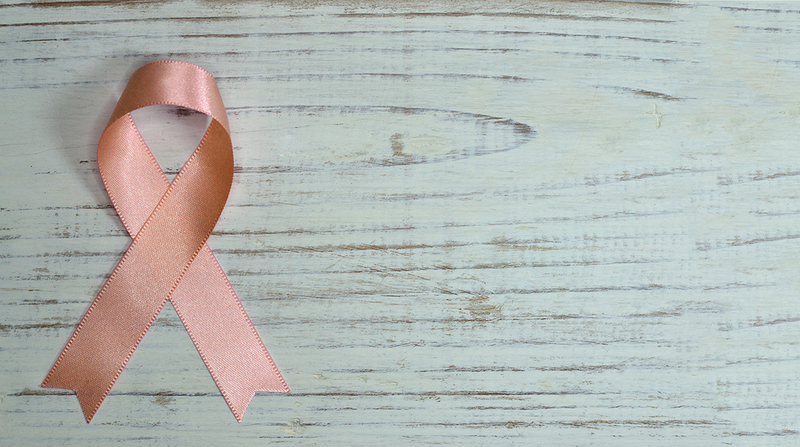 Nonetheless, it is estimated that about 30% of women with breast cancer will eventually develop secondary disease and undergo metastatic progression. This is a big number and buying products adorned with pink ribbons will not make the problem go away. Women with metastatic breast cancer often feel left alone by the NHS and scientific community, as they believe they have been discounted and dismissed. Even in clinics, there is a tendency to avoid potential contact between women with advanced disease and new cases, almost to safeguard this tyranny of cheerfulness. What I’d like to say to these women is that the scientific community has not given up on them, quite the opposite. Cancer Research UK – the largest cancer charity in the world – has funded my laboratory with £1.6 million to advance our basic understanding of metastatic breast cancer. Our plan is to investigate the dark matter of the genome – the DNA that doesn’t directly encode protein. We have reasons to believe that mutations in these DNA regions might also play a role in pushing the disease forward, overcoming current therapies. In addition, the community is also slowly changing its attitude toward metastatic breast cancer. New breast cancer charities such as Second Hope are helping to change the narrative and calling for action to improve the lives of these women. This October, I urge us to think about the peach ribbon: the true symbol of a campaign that helped funnel research money and efforts toward a cure for breast cancer, for all breast cancer patients. The road ahead is long and uneasy, but so it is for every research endeavour. I am very optimistic about the future, without the need for some rose-tinted spectacles. I know that improvement is at reach, but to capture it there is no other way than hard work backed by the will of strong community. 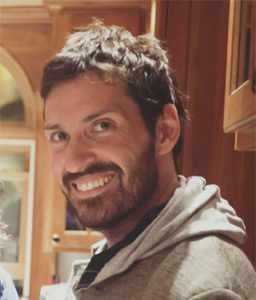 Dr Luca Magnani is a Senior Research Fellow and Group Leader of Magnani’s lab which focuses on the epigenetic basis of breast cancer. World Osteoporosis Day: love your bones!